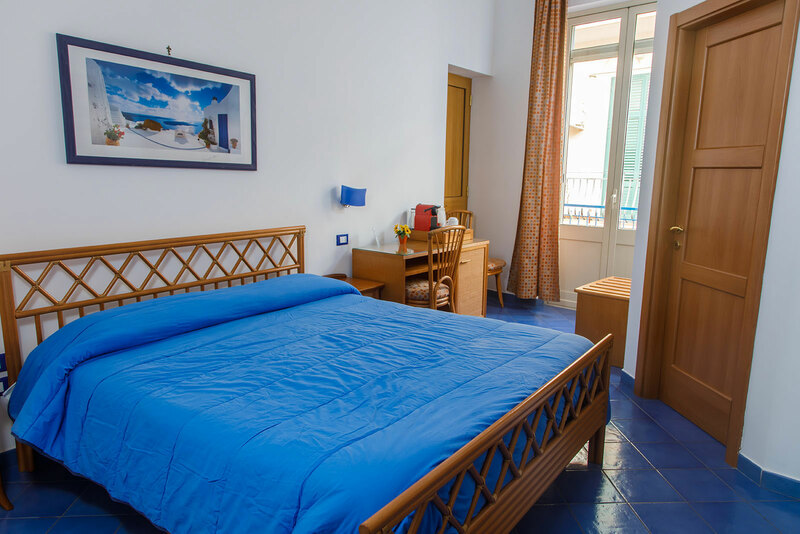 Al Baglio Bed and Breakfast, is located at the center of Mondello, just 50 meters from the sea and square, surrounded by several clubs and restaurants where you can enjoy the excellent cuisine of local fish and the amazing view of the beach, dipped in the typical Mediterranean landscape. Al Baglio B&B offers the opportunity to stay a stone’s throw from the sea, in the famous area of Mondello, among nineteenth-century villas and place’s characteristic venues, surrounded by a unique natural landscape. City center is located just 11 km from Mondello and is easily accessible by Amat 806 bus line. 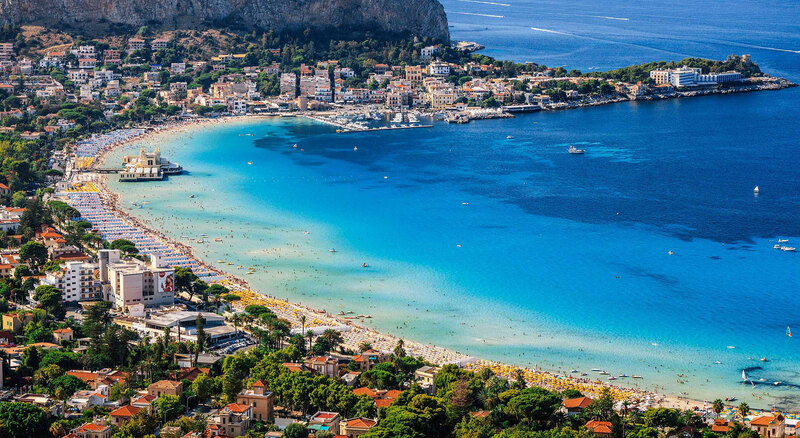 The Gulf of Mondello, flanked by Monte Pellegrino and the amazing Capogallo nature reserve, is a popular meeting place for every visitor. Thanks to its crystal clear sea, this renowned area is beautiful at any time of year. Actually, it can respond to every visitors need coming from all over the world, even in the coldest seasons, thanks to many restaurants and clubs. 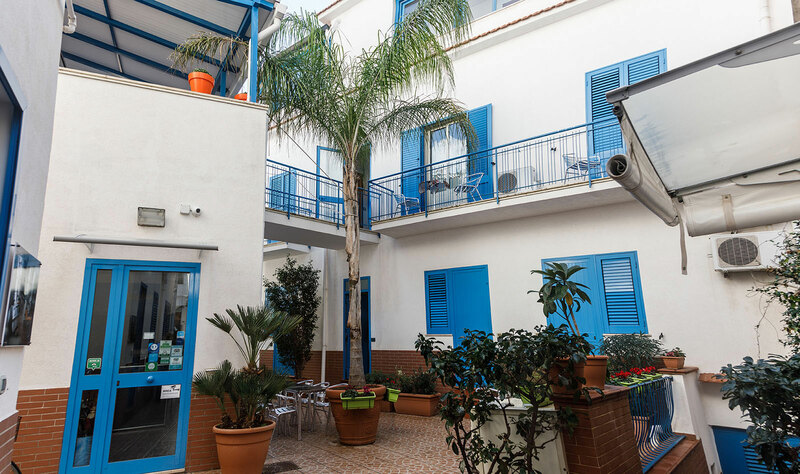 Al Baglio Bed and Breakfast offers its guests three rooms (single, double or triple) with en-suite bathroom, equipped with every comfort, essential to enjoy a relaxing holiday or stay. Our structure is also equipped with a silent and quiet gym where you can train daily. Our outdoor areas with comfortable sofas, chairs and tables, are perfect for your moments of relaxation with friends. Our rooms are spacious and bright and suitable for families, couples or young entrepreneurs who are on a business trip. Ask for availability now and book your room, we are waiting for you!